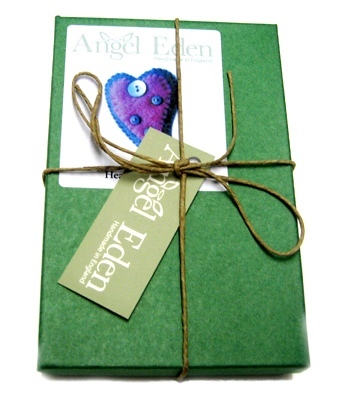 Valentine’s Day is just around the corner and it seems that love is most definitively in the air at the Angel Eden shop. Our various craft kits have always been popular, even gracing the pages of several top craft magazines. Recently though one kit in particular has suddenly become our must have item! 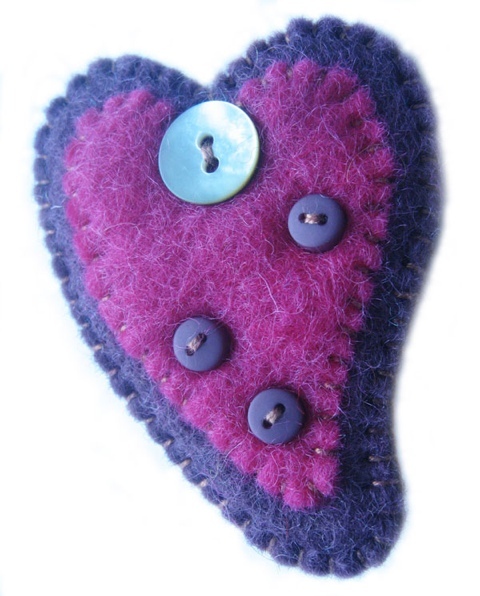 It seems that customers have been feeling rather romantic of late and our felt heart kits have been selling like hot cakes! 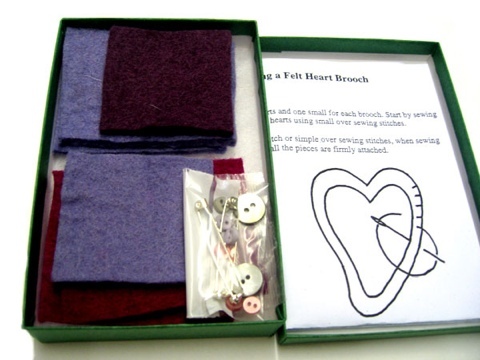 As each kit makes two heart brooches I’d love to know if they are destined to be made into two gifts or whether the kit itself is the present. Of course they could be made into romantic decorations, key rings or anything else you can dream up. I have to admit that I’m not a massive fan of valentines 8/ it often feels overly commercial despite being an old celebration day. With this in mind my husband and I have set a new rule that our gifts to one another must be handmade. When you can appreciate the time and energy that goes into a present I think it means so much more. Valentine’s Day is also notoriously expensive, with the price of everything from flowers to meals out skyrocketing. In honour of this most romantic of occasions and to encourage you all to think handmade, I’m very pleased to be able to offer all our blog readers a special discount code which can be used from now until 14th Feb. Enter the code love at the checkout to receive free shipping on all orders. This entry was posted in Miscellaneous and tagged felt, felt kit, gift, handmade, handmade valentine, heart, heart kit, kit, present, valentine, valentines. Bookmark the permalink. 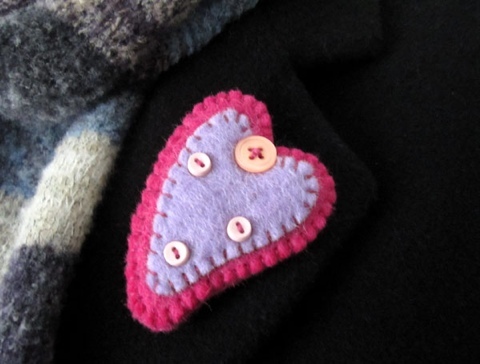 I really love the colours in these felt hearts, they look good pinned to a coat. Have you made one of our kits Louise?